Perspectivity had been invited for the 4th time to conduct a Perspectivity Challenge for the Fifth Asian Forum on Global Governance (AFGG) organised by Observer Research Foundation and ZEIT-Stiftung Ebelin in the Hyatt Regency Hotel in New Delhi, India. Anubhav and Hein, together with locally trained staff, facilitated the session for the 42 participants of the forum, who are successful young politicians, managers, journalists, academics and NGO representatives between 28 and 35 years of age, coming from 29 different countries. They all have gone through a highly selective process in order to attend the conference. As a result, the sessions at AFGG are always very dynamic and full of energy and new ideas. There was a wide range of scores which led to powerful insights shared during the plenary debrief. 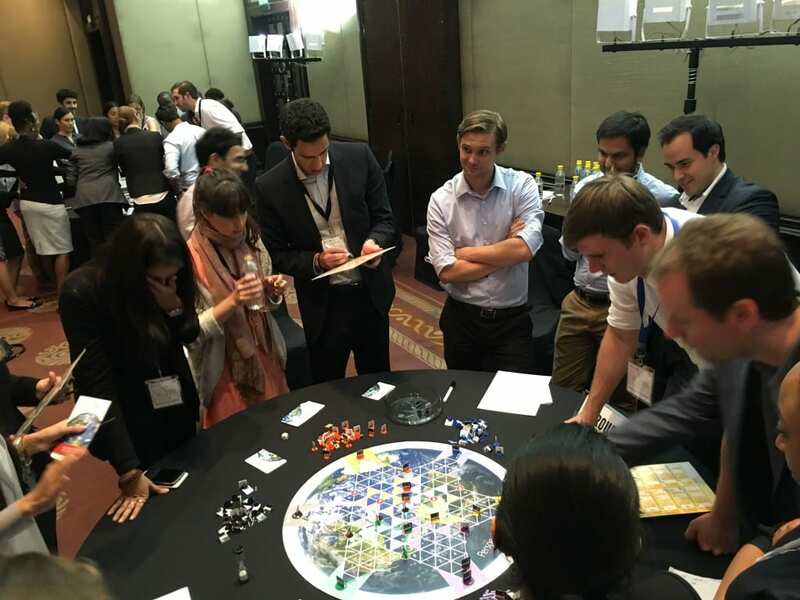 Many participants indicated to be very intrigued by the game and its underlying concepts, and many leads for new sessions were identified. We are already looking forward to return to next year’s event.